Bouts of dizziness are common for seniors, with 30 percent of people over age 60 and 50 percent of people over age 85 experiencing dizziness. But while this issue is common, that does not mean it can be shrugged off as a natural part of aging. With the right care, dizziness can often be treated. Here are five things that can cause dizziness and what can be done to treat it. You may think vertigo and dizziness are the same thing, but vertigo is a specific kind of dizziness in which individuals feel like their world is spinning. The most common kind of dizziness for seniors is benign paroxysmal positional vertigo (BPPV), which is caused by crystals in the inner ear becoming dislodged. If BPPV is the cause of your dizziness, it can be treated with some simple maneuvers that help the crystals move back into place. Sudden vertigo that lasts up to a week could be the result of a prior infection. Vestibular neuritis is often caused by a viral respiratory illness like the flu that causes the nerve cells in the inner ear to become inflamed. Vertigo caused by infections can be treated with anti-nausea medication or physical therapy. Steroids for inflammation can also help bring down the swelling in the inner ear. 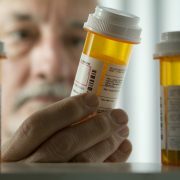 Some medications can cause dizziness, especially among elderly patients. For people with high blood pressure, hypertension medication could be to blame for dizziness that happens when they get up too quickly. Other medications like salicylates and some cancer drugs can cause permanent damage to the inner ear, affecting a person’s hearing and balance. Unfortunately, people who are taking medicine for dizziness could actually end up with more dizziness, as some sedatives can worsen the symptoms. If you have dizziness along with ringing in your ear, distorted hearing, and nausea, you may have Meniere’s syndrome. These attacks can last for a few minutes or for several hours. Meniere’s can be treated on several fronts, including diet and medication. Limiting salt and caffeine can help, and anti-nausea medication might provide some relief. Strokes, or transient ischemic attacks (TIA), aren’t the most common reasons for dizziness in seniors, but they are one of the most serious. Because time is of the essence when treating a stroke, it is important to rule stroke out when sudden dizziness occurs. Symptoms of a stroke can be similar to vestibular neuritis, so you should seek medical attention the first time you experience dizziness to figure out what is causing it. People who are having a stroke often have other symptoms like confusion, numbness, or slurred speech. Even without other symptoms, someone with dizziness could still be having a stroke or TIA, which can lead to a stroke. 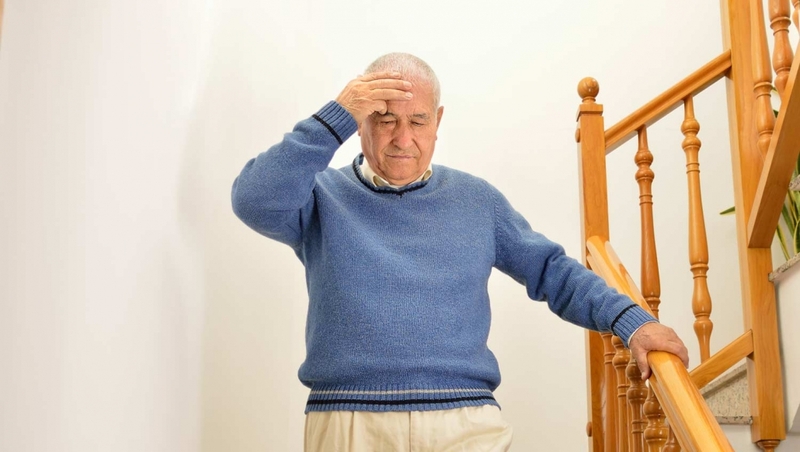 Dizziness is a common complaint among seniors, but it does not need to be a fact of life. If you are experiencing dizziness, get medical attention. Your doctor can help determine what is causing your dizziness and figure out the best treatment. Copyright © 2019 Hillcrest Health Care Center & Mica Hill Estates. All Rights Reserved.